Romelu Lukaku delivered the news Everton fans had been dreading to hear this week as he revealed he would not be signing a new contract with the club. The Toffees were keen to tie their star man to a new deal containing a massive release clause; guaranteeing the club some serious money for his signature. While they may have been consigned to losing Lukaku, he still rejected the deal and won’t entertain further talks. Lukaku is the joint top scorer in the Premier League and has developed into one of the top forwards in the league since his £28m move from Chelsea. But with Everton not competing in the Champions League, it seems he will chase a move to a bigger club. Since the rejection, speculation has been rife as to where the Belgian striker will end up should he depart Goodison Park in the summer. A Premier League rival who would love to take Lukaku is Manchester United. The Red Devils secured Zlatan Ibrahimovic’s signature in the summer, but the Swede is yet to sign a contract extension on his one-year deal. If Ibra does decide to leave, a move for a striker could be top of Jose Mourinho’s summer shopping list. Antoine Griezmann is reportedly United’s top target, but a move for Lukaku also makes sense. Atletico Madrid will not want to lose their prized asset but may be forced into a transfer due to their financial troubles. With Lukaku heading for the exit, he may be easier to sign. However, he has a history with Mourinho – the manager who sold him to Everton when he was at Chelsea. Would Lukaku want to play for a manager who deemed him not good enough for Chelsea? Wayne Rooney has been linked with a return to his boyhood club in the summer, and a move for Lukaku could mean England’s captain goes the other way. Pulling off a huge deal for Lukaku would be no problem for United and would be a real statement of intent. Lukaku’s agent, Mino Raiola, has a history of bringing players to Old Trafford; he lists Paul Pogba and Henrikh Mkhitaryan on his client list. Pogba is good friends with Lukaku and would no doubt endorse the move to Manchester. His former club Chelsea are also keeping tabs on his situation intending to bring him back to the club in the summer. Lukaku was farmed out on loan to West Brom and Everton after joining Chelsea from Anderlecht in 2011. Didier Drogba labelled him as the heir to his throne, but the Blues accepted Everton’s £28m offer in 2014. Now, Mourinho has gone, and Chelsea looks a different side. Antonio Conte has completely transformed Chelsea’s team who look likely to secure their second Premier League title in three years. Conte splashed over £30m on Michy Batshuayi but the Belgian has failed to impress, and Diego Costa has been troubled by a hamstring injury all year. Costa has also been courted by Chinese Super League clubs meaning a move for Lukaku would make sense for Conte. Lukaku is a boyhood Chelsea fan and has a healthy relationship with Thibaut Courtois. 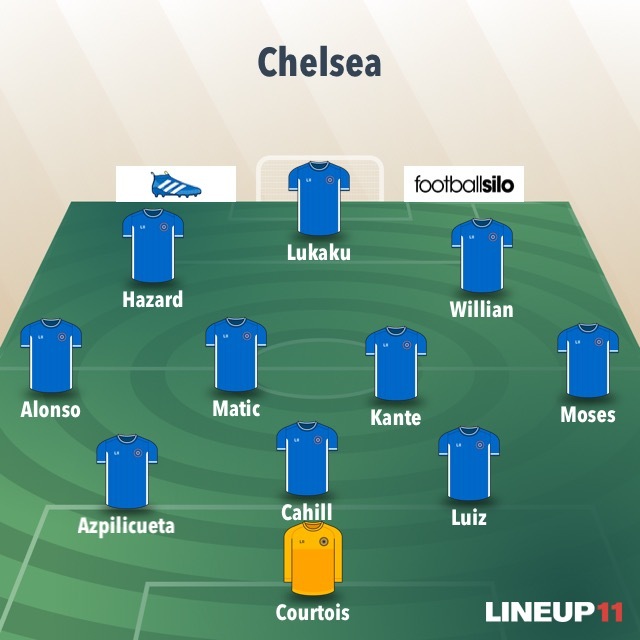 If Chelsea wins the Premier League, they will know they need to strengthen if they are to retain their crown; resigning Lukaku could be the perfect addition to do so. A move would depend on whether the Belgian is willing to return to the club that sold him and whether he would be guaranteed first-team football at Stamford Bridge. Moving out of the Premier League, Paris St-Germain represents another enticing option for the striker. The reigning French champions would have no problem meeting Everton’s valuation and could match the wages offered by any club in the world. With Champions League football almost a certainty as well, Lukaku could move to the French capital. It is likely he would be first-choice forward in Ligue 1 – which might not be the case at United or Chelsea. Edinson Cavani has been in fantastic form this season but has struggled in big games. PSG’s capitulation against Barcelona in their recent Champions League fixture highlights their need for another big-name addition. Despite Ligue 1 not being a formality this year, Monaco leads the race by three points, it is clear that PSG are craving success on the European stage. They fell short this year, but the signing of Lukaku could be what they need to compete with Europe’s elite. Another top European side who are big fans of Lukaku are Juventus. The Old Lady were keen on signing him before his move to Everton, and it would be no surprise to see them reignite their interest this summer. Juve has dominated the Italian league in recent years but has also found success in Europe – finishing as runners-up just two years ago. They have progressed into the quarter-finals after knocking out Porto and could fancy their chances if they progress to the semis. However, their attacking line-up is already packed with talent. They spent over £70m to sign Gonzalo Higuain from Napoli and £32m for Paulo Dybala from Palermo. There have been rumours that Real Madrid will look to bring Dybala to the Bernabeu in the summer which could force Juventus to look for replacements. If they manage to keep Dybala at the club, it’s difficult to see them authorising a huge move for Lukaku.